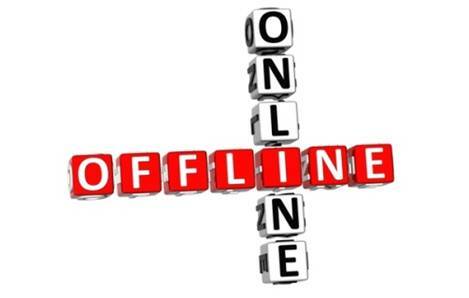 There has been a continuous debate whether, Online shopping is better than offline shopping. In past 10 years, the online shopping industry has increased by manifolds, to the point that there are now many people who prefer to buy new products only on online platform. By this statement only we can predict the bright future of online shopping from and can understand the potential benefits of online shopping from Flipkart and more, still there are people who are sticking to traditional store buying, and they have some obvious reasons as well. They fear of many things while buying through these new age retailers. Yes it is seemingly true that things are bending in the favor online shopping and it is climbing the popularity charts day by day, but it is highly unlikely thing that traditional stores will extinct someday. We have complies all the contradicting points at one place to get a clear picture on the issue. So read on, and decide yourself. This is the top most priority on anyone’s list. Convenience is one of the things people care most about when shopping, Most people either don’t enjoy spending endless hours shopping, whether in a store or online or they do not have time to shop owing to their to their busy schedules and fast moving lifestyle, and it is always good to get over these experiences as soon as possible. This is one of the prime reasons that online shopping has become as popular as it allows you to switch and surf stores and products just by comfort of clicking a button rather than traveling to a whole new store. But this convenience comes at the expense of purchasing goods which sometimes do not match the shoppers, those expectations which are immediately met in a store offline. There are always some uncertainties about the quality and quantity of the product because buyer has never seen them in physical form. This doesn't mean that the individual has not chosen to buy online with the pictures provided in fact the rate is pretty high but there is always this danger which would go on to cause inconvenience. And also it's also a matter of caveat emptor, isn't it? Another thing people pay attention to is a range of products available at a store when they go shopping. A large selection of products means that your decision making process may be a bit more difficult, but it also increase your probability of finding a high quality product that truly meets your needs and expectations. Considering this fact, the Internet has the edge here, as the categories available are virtually endless, whereas stores can be poorly stocked and there are no usually better alternatives. So from this point of view advantage goes to online shopping. When you are purchase something new its feels good to have that thing instantly in your hand whether for yourself or for another person, it is always nice to have that product in your possession at the same time. This allows you to take control of the product, or to even wrap it if necessary. On this front, no doubt traditional shopping has an edge over it, because you do not have to wait for shipping or delivery of the product. Here brownie point goes to offline shopping. The importance of quality of product cannot me stressed more. We all know how much it is important. We usually don't agree to comprise on the quality of product at any cost. Needless to say, the quality of a product is very important aspect. It is true that most online shopping offers you the facility to return faulty or quality ridden products, there is no quality control system. Is available which is complete and transparent, as in offline store where customer gets to chance to hold that product and observe it. This is something that the Internet can never offer to customers. We Indians breathe bargaining when we go for shopping. We try to save each and every penny of our hard earned amount while shopping. This makes this saving money another very important aspect of any shopping experience. Here, Internet has an advantage and people enjoy online shopping because you can often find a product more cheaply online than you can in stores. However, this factor is countered by the shipping costs included by online retailers in the price of products and these can make up for the money you save with the base price. Discounts and festive sales are big plus for online shopping is because we can shop at any of our favorite shop and can get unbeatable discounts and "Steal Deals" on our orders. Usually E-commerce marketplace makes sure you get the delivery on same day itself and there are many courier service providers to ensure the smooth possession of products. 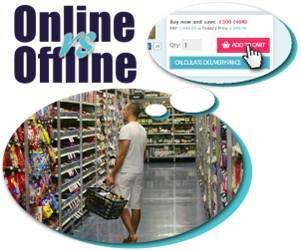 I think online is the smart way to shop but both have advantages and disadvantages. Online shopping is best way...if the expected products come to us!! !